Mateusz Bogusz has completed his move to Leeds. Two-and-a-half year deal and will start with the u-23s. Couple of weeks in the U-23s and he'll be on the bench 😀. I’m looking forward to seeing him score a few of his worldy pile drivers for the 23’s! lots of fringe academy lads to leave over the next few days. essentially those who are not good enough. Dallas is going to be out for another 6 weeks sources have indicated after a setback with an ankle injury. Oooooooof, he should toe the line. When he returns to fitness getting back in the team will be no mean feet. Dallas should go to my local Timpsons. he has a sign in the window. "Heeling While You Wait"
You guys have no SOLE, it will be no mean FEET to come back from that injury and we should all pull TOEgether to help him so hope this is the LAST of the LEG pulling as it rANKLES me. nothing much happening with regards to Leeds transfer news today other than the report that we are no loger interested in Callum O’Dowda. If we ever were. Made them spend money by putting his wages up and extending his contract. Strategic games me thinks. Ooh, now we're after Carvalho? from Wolves on loan! ! ! as if 😂🤣😂. Papers need filling Alf and it's silly season as well. We need to win the next 2 - if we do that it will be a huge leap forward to automatic. Lets start on Friday. Wigan will not be a pushover but one we should win at home. Forest may be starting to lose their way, but what a bonus if they can hold the blunts. We will have to take every opportunity we make now not the time to let this slip, bam bam get that foot right it the net. Going for 4 points to leeds and 2 for Sheffield this Easter time. Are Norwich starting to bottle it? 4 pts the gap they have to be looking over their shoulder now surely? Hi Alf, do you think Norwich will need Binoculars to see someone so close behind them? On another note, do you think that Fat Frank will need Binoculars to see someone so far ahead of of him? Sorry for the mischevious nature of my post, but I am that way out today. I think it was one of you miscreants on here who said that if we wished to spy on Fat Frankie, we could have merely loitered outside Greggs, superb, you bad mankeees! Bad mankees! Anyhow, drunken ramblings aside, MOT! A massive ask, but 4 more wins might get the title, but I will be more than happy with second. Nobody wants it do they? Both of us conspiring to throw it away. The nerves kick in at this stage of the season, impossible not to think about how close you are. Every possible error is magnified in its importance. Even Norwich were effected. 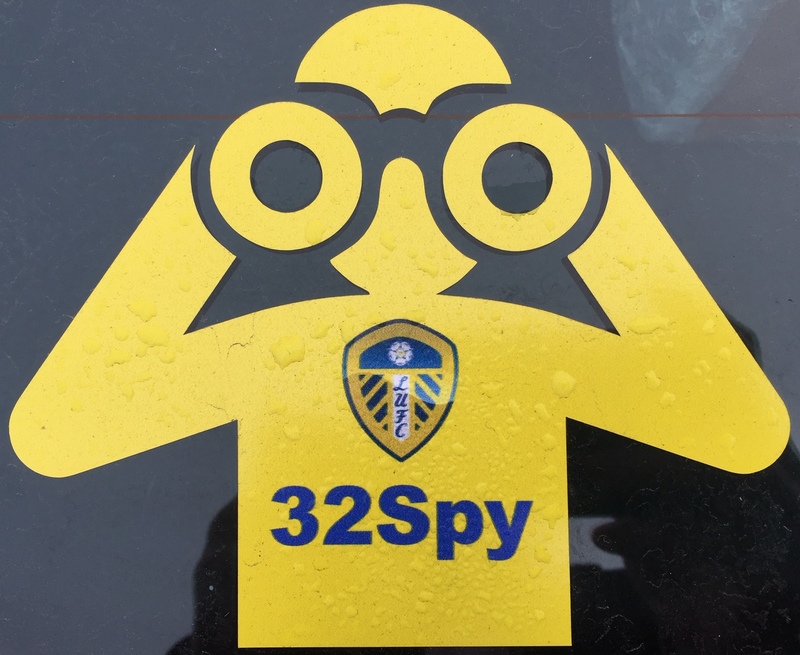 U23s play Newcastle at Guiseley on the 23rd April - anyone up for it? Hope so Alf! I’ve been in the wars since the Millwall game, bronchial infection and bad back! Might said the Elland Road Under 23 game but in the mend now! Spaniard Bad virus going around Leeds. Get better soon. Thanks George, the infection effected my typing! Missed the Elland Road under 23 game but on the mend! 8 games is loads - if we win all of ours we will be up almost guaranteed but can we win all of ours? For impersonating a football chairman? Why did we not hold onto Billy Sharpe? We need at least 3mil to make our money back on him. 3 games like the ones against Derby, West Brom or Sheff Weds are possible - ER bouncing for the semi final, Wembley bouncing and WHITE for the final? Come on - its do-able. We have a great opportunity to prepare for the playoffs now unlike other teams who are still fighting for a place. Let's focus on that and make sure we are 100% right mentally and physically fit ready for the final push. I missed that as well Spanish : (. I love the playoffs. Don't really like losing in them but the idea is brilliant and its a great showpiece. Why not give the team in 6th the opportunity to go up? It keeps it interesting for all those teams below 3rd or 4th for much longer and keeps the league much more competitive. The team in 3rd will always complain about it but what if you are the team in 6th? Btw we are not guaranteed 3rd yet so that wouldn't necessarily be us anyway. There are 3 games left. Any professional footballer who needs a kick up the backside at this stage when we were in 2nd with 4 left should be sacked.